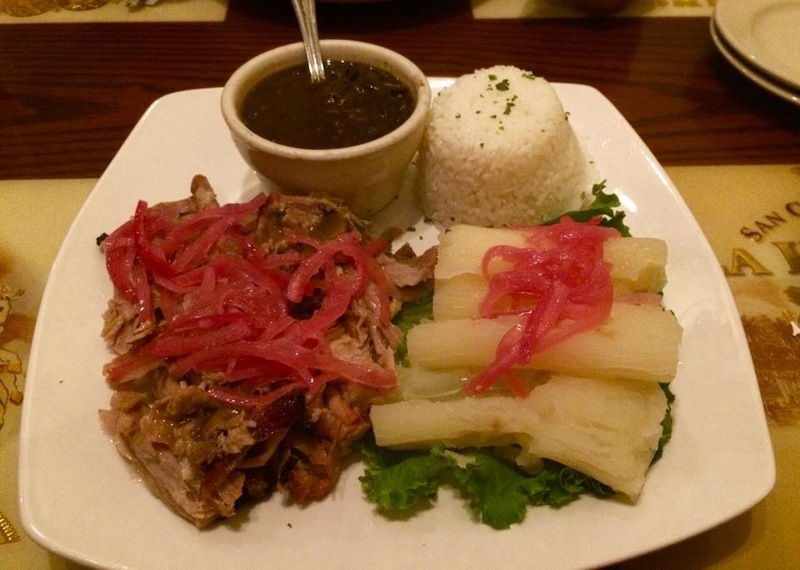 Havana Rumba in Louisville – Go There. Try That. I am such a Louisville fan! It’s a weekend getaway go to! You will hear more about some of my favorite spots in Louisville later. 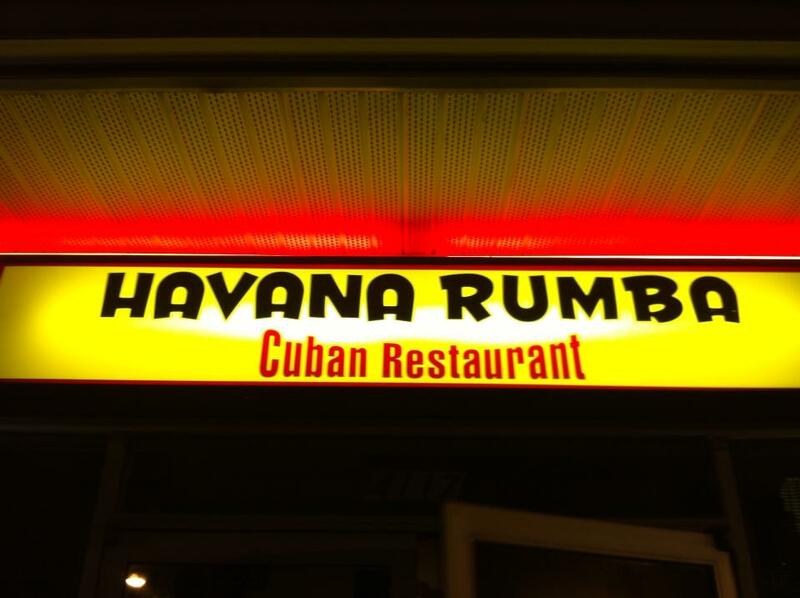 Right now, I want to highlight a restaurant that we’ve visited on more than one occasion: Havana Rumba! This place is delicious, of course, and it’s Cuban! I have yet to find a Cuban place in Cincinnati! The food here is incredibly flavorful, authentic, and made from scratch. From what I hear, the owner is Cuban and uses family recipes. It shows in the food. The portions are large and the service is fantastic. 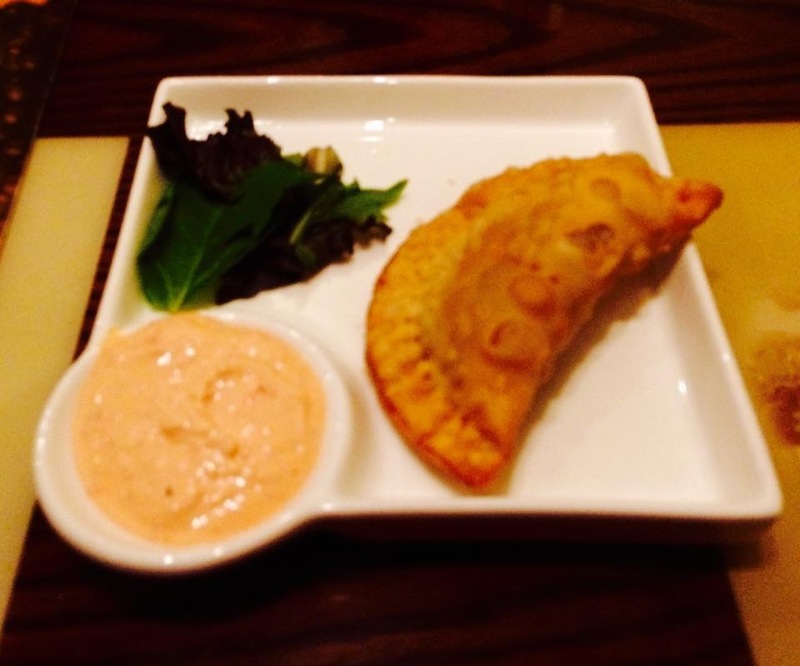 For appetizers, we always start with the empanadas. We’ve had the chicken twice and were not disappointed. The crust is flakey and perfect. 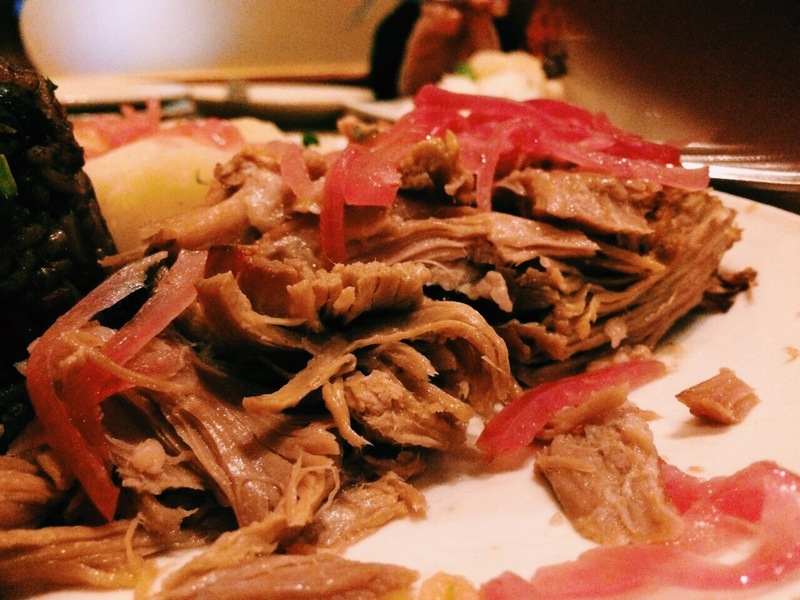 For the main dish, we always go back to the Lechon Asada. Think pork that has been marinating for days (tastes that way) in citrus juices, garlic, and Cuban spices topped with crazy good purple cabbage. Even though the purple cabbage is a garnish, it’s weirdly fantastic. This dish is served with congri (rice and beans) and yucca con mojo. I’m not a huge congri fan, but this pork is the kind of meal that you savor. We’ve also had the steak chimichurri (grilled skirt steak served with red and green chimichurri sauce) and sweet plantains. The steak is super tender and the green chimichurri is unbelievable. I have no idea what the ingredients are, but I wholeheartedly approve. I’ve also tried the Ropa Vieja (shredded beef cooked with peppers, onions, and tomato creole sauce). Also good. Next time, I need to try the Bocaditos (Cuban sandwiches). For dessert, Tia’s Flan is creamy, smooth, and sweet. I love the balance of vanilla and cinnamon. But, hands down, I super-duper dig the Cafe con Leche – Cuban coffee, steamed milk, and sugar. Perfect after dinner. Havana Rumba has expanded to three locations. It’s family friendly, a little on the loud side, not fancy, but delicious. Please know my pictures don’t do the food justice because it was kind of dark inside and I don’t have a fancy camera… yet. GO THERE (Havana Rumba)! TRY THAT (Lechon Asada)!